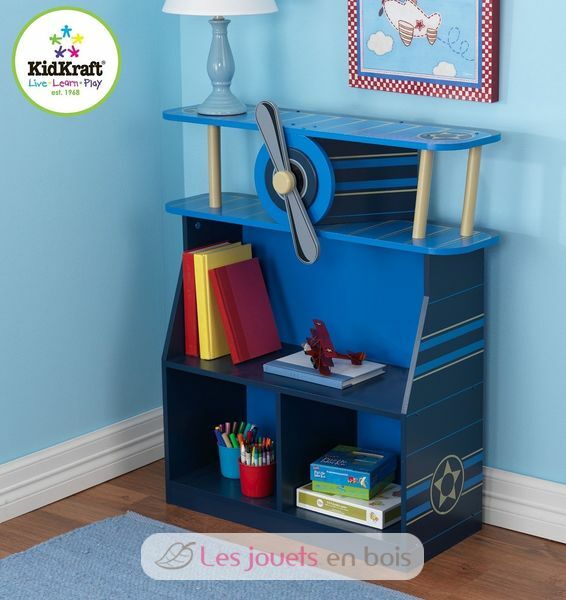 It’s time to takeoff and fly away with this adorable Airplane Bookcase ! 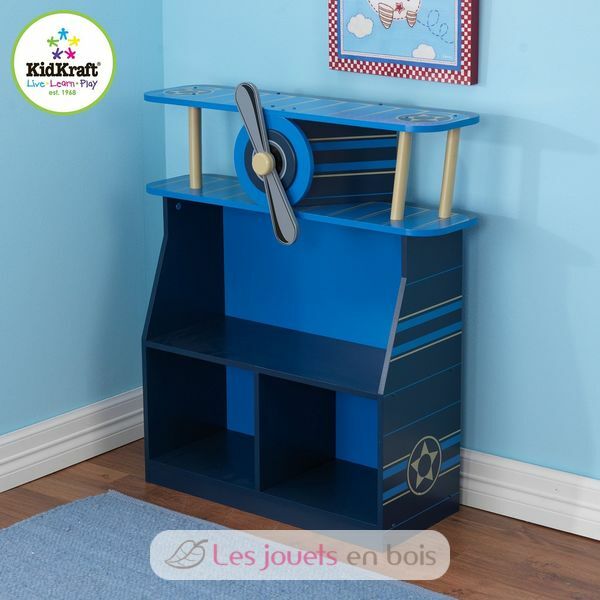 The young aviators in your life are sure to love this fun, convenient furniture piece with a spinning propeller. It includes three levels of convenient storage space, airplane-themed artwork on the top shelf and both sides. 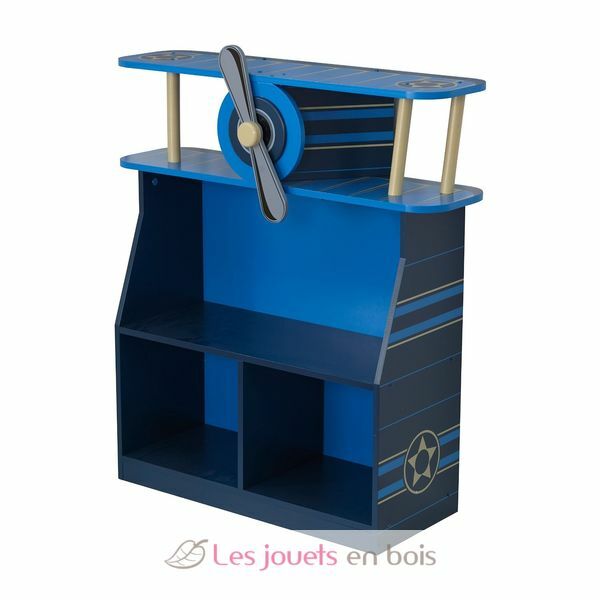 Made of composite wooden materials, this Airplane Bookscase matches the popular Airplane Toddler Bed (item number 76277). Dimensions : 74 x 26 x 81 cm. Airplane Bookscase made by Kidkraft. Item number 76270.